Elf - I Say Ding Dong Shop - Buy Stickers, Decals & Unique Automobilia. 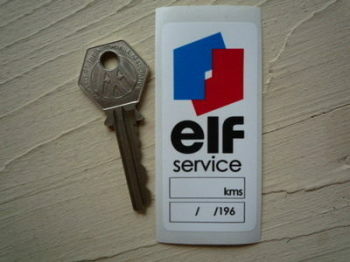 Elf 'Service Using Elf Products' Service Sticker. 3.75". 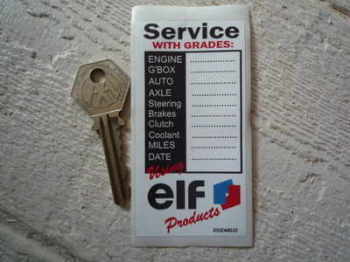 Elf 1960's Service Sticker. 3". 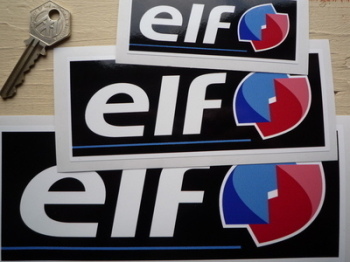 Elf Back & White Oblong Stickers. Set of 4. 1.75". Elf Back on White Outlined Oblong Sticker. 11". Elf Black & White Shaped Text Sticker. 12". 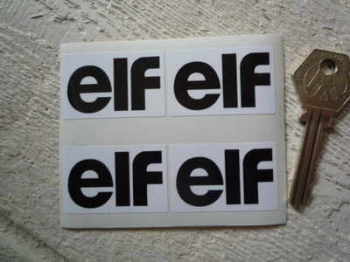 Elf Black & White Shaped Text Stickers. Set of 4. 2". 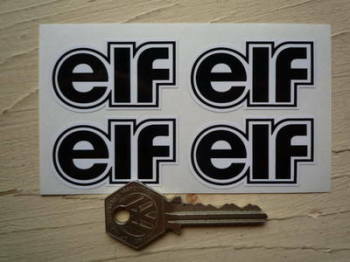 Elf Classic Style Sticker. 8" x 12". 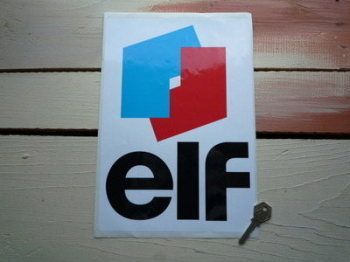 Elf Cut Out Classic Logo Sticker. 6". 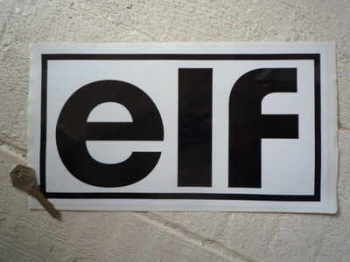 Elf Cut Text Sticker. 12". Elf Cut Text Stickers. 4", 6" or 8" Pair. 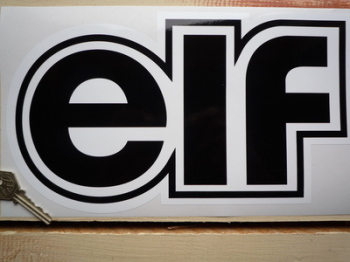 Elf Early Style Black on White Oblong Stickers. 5" 7", 9", 10" or 11" Pair. 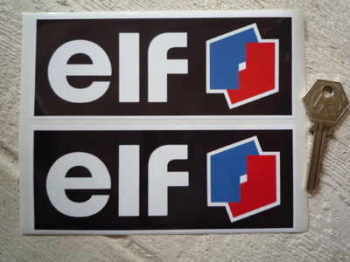 Elf F1 & F2 Style Oblong Stickers. 6" or 10.5" Pair. 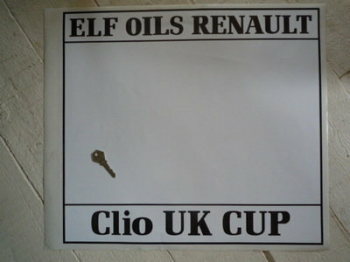 Elf Later Style Oblong Stickers. 4", 6", 8" or 10.5" Pair. Elf Shaped Text Stickers. 3" or 7" Pair. Renault Sport Elf Black & White Race Car Door Panel Stickers. 16 x 12" " Pair. 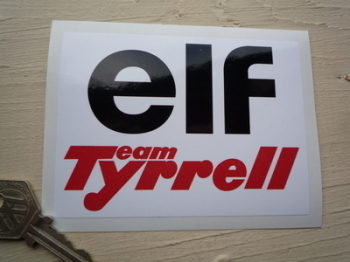 Team Tyrrell & Elf Sticker. 4.5".